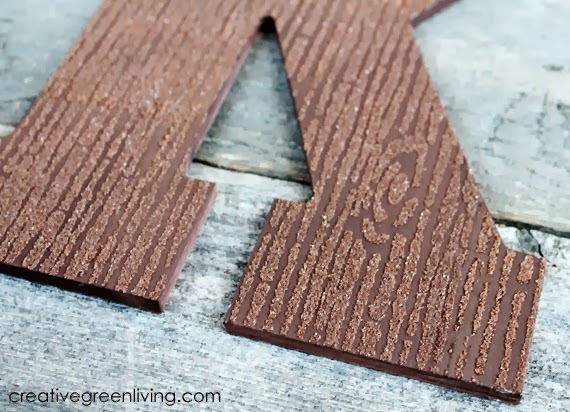 Prep the monogram for the woodgrain treatment by sanding any rough edges or splinters. Use the foam brush to apply 1-2 coats of brown craft paint as needed to cover. Set aside to dry. This it the fun part! Peel the stencil up from the clear backing and apply it to the letter. Press down to make sure it is well adhered. Pour some Mod Podge onto a plate and dip the pouncer in it, wiping off any excess. Using an up-and-down motion, use the pouncer to apply the Mod Podge over the stencil. Peel stencil up and set aside. After five or more minutes, tip the monogram to pour the excess sand off. Tap the back to remove any extra stubborn pieces. Roll up the paper like a funnel and pour extra sand back into the jar. Move the stencil to a new area and repeat the process. I do not recommend doing an area immediately adjacent to what you just worked on in order to give the sand more time to dry before putting the adhesive stencil on top of it. Once all areas have been stenciled, leave it to dry for several hours before using a soft paint brush to gently brush away any extra sand. 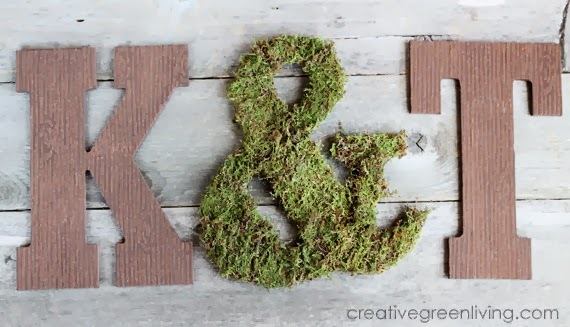 I paired my kids' initials with an ampersand that I covered in moss sheeting to complement the woodland look. 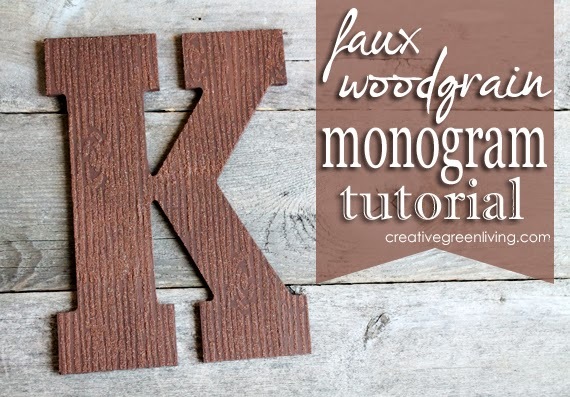 Tutorial for moss covered monogram coming soon! 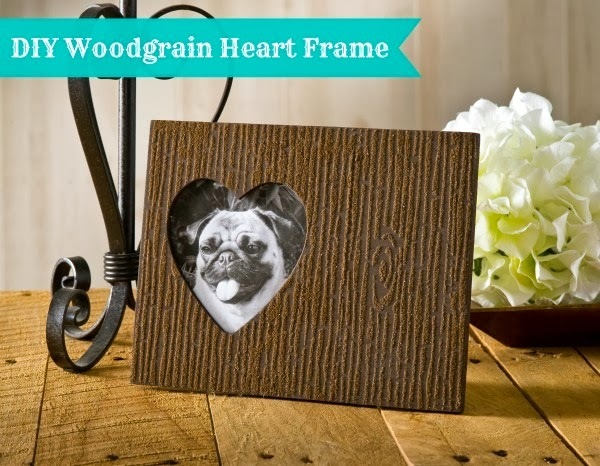 Be sure to check out this woodgrain heart frame on Mod Podge Rocks!' 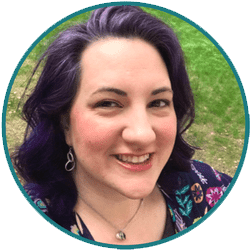 website - it's what inspired me to use this technique to make the monograms for the kids' room! DIY Woodgrain Heart Frame on Mod Podge Rocks! This turned out gorgeous, can't wait to see the final nursery room all put together! Love this! That woodgrain goes amazingly well with the moss ampersand. LOVE! Looks awesome! Love the texture you get with the sand.